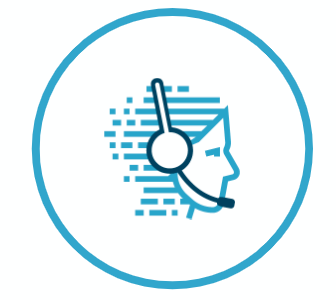 The Appian Intelligent Contact Center™ powers contact centers at many of the world’s leading organizations. 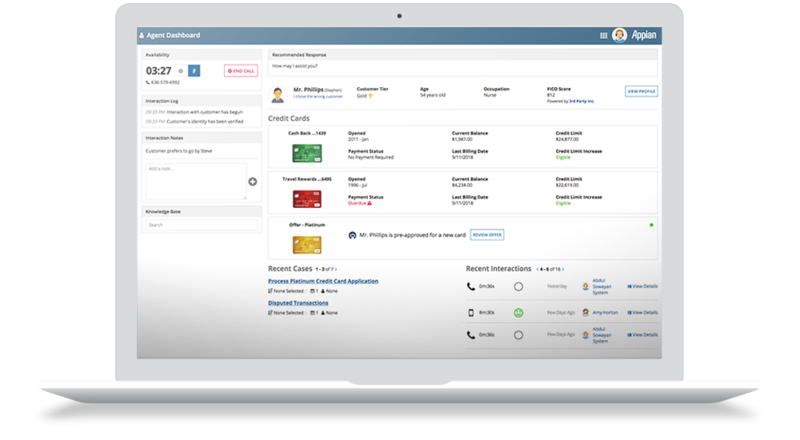 Backed by the #1 rated case management solution, the Intelligent Contact Center provides a complete, single view of the customer while driving rapid resolution. The result is superior agent performance and world-class customer experiences. Learn how to crush your KPI goals, deliver concierge customer experiences, and create rock star agents. Meet or exceed the KPIs that matter most to you. Our customers are changing the status quo with Appian. 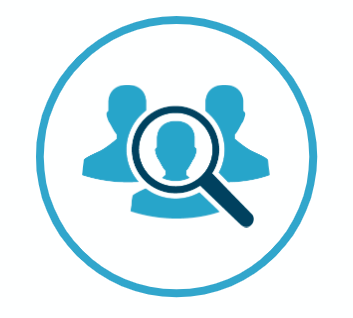 Unify data from across your organization to create one actionable customer view. Dynamic Case Management, AI, RPA, and intelligent processes help guide agents to handle any situation – fast. Engage with customers on the channels of their choice for seamless customer experiences. Your next generation contact center. 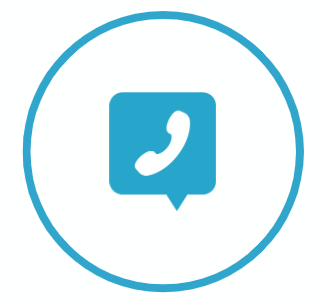 Transform your contact center with the speed and impact of Appian. Quickly deliver an integrated customer experience across channels and customer touchpoints. Integrate leading communication channels into a single interface for a seamless customer experience leveraging technology expertise from Google, Twilio, Genesys, and more. Consolidated case information driven by Appian Records simplifies complex interactions to help agents reach resolution faster. Deliver process automation, Robotic Process Automation, and AI-assisted Next Best Action suggestions to support agents in advising customers and delivering personalized recommendations. Build applications that are compliant, secure, and scalable, while accelerating time for deployment—and in turn, time-to-value for the business. It’s not just about great software. Appian empowers you with the tools and training to deliver results faster. Sophisticated AI provides curated sets of documents and information based on interaction context to provide the right answer the first time. The Appian AppMarket provides a diverse range of pre-built business and technical applications to accelerate your contact center solution. Free online persona-based training helps you become an expert on your schedule. We also have instructor-led classroom courses to hone your skills even further.